K-pop stars BTS' album "Love Yourself: Tear" was listed on the Billboard chart of the 200 most popular albums for the 13th week in a row Wednesday. 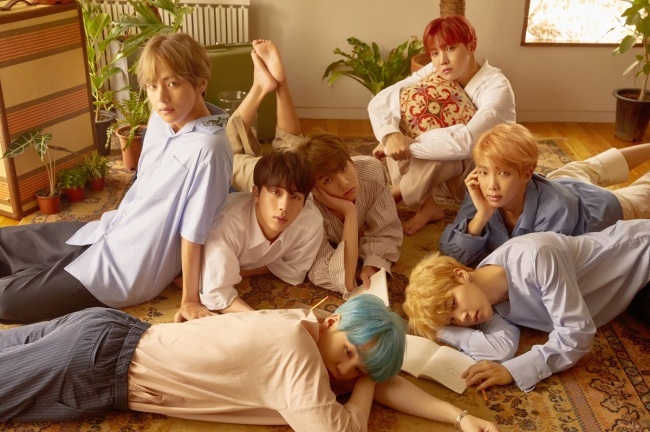 The latest BTS album, released in May, ranked 84th on the weekly Billboard 200 chart, according to its website, the 13th consecutive week the album has hit the list. Within two weeks of its release on May 18, the album landed atop the key Billboard chart as the first ever Korean album. Also this week, the BTS album "Love Yourself: Her," released in September last year, ranked 169th on the 200 album chart. The septet also broke its own record this week by topping the Billboard Social 50 chart, the list of the most popular artists, for the 58th week in a row.